"I started working for women's empowerment more than 20 years ago when dowry killings were rampant in northern India. My friends and I set up an organization called Saheli in 1981 to help women facing domestic violence. Saheli, along with other women's groups, helped change many legislations including the law on domestic violence and the law against pornographic display of women. But then I realized that all this helps only middle-class women who can access the law. What about rural women? Rural women are more vulnerable, and they face many more challenges. They have the knowledge to change the world, but most of the work they do is unseen and unpaid. Statistics say that they work 17 hours a day. It is mainly women who are working in agriculture, but most of them are landless labourers. Only about 13 per cent women own land. One of our demands at Gramya Resource Centre for Women is that women should have land titles in their names. So, we are pressing the Government to recognize that women are farmers and to give them access to markets, economic goods, and all the other things that they need as farmers. One way of helping women farmers is to help them organize themselves. With MAKAAM, a forum for women farmers' rights, which has about 200 NGOs, we are helping the women farmers do that and we are also helping them pursue sustainable agriculture, which includes using little water, finding ways to improve soil conditions in an organic way rather than using pesticides and chemical fertilizers, using traditional seed varieties, and so on. Climate change has disastrous impact on rural communities in India, and with pesticides and chemical fertilizers, the plants would just die out soon. If you look at climate change as a global issue, and look for a global solution, that becomes insurmountable. It is a global problem, but there are local solutions to some extent. So, when such solutions are staring you in your face, don’t turn your face away from it. The solutions really are with communities and the people; we should listen to the voice of the people. The other main challenge for rural women is lack of education. Across the country, girls are behind boys. For girls to go for higher education, they need to move to a bigger town. And when they move to bigger cities, there is no safety or security for them as sexual harassment is very common. Single women (and widows) are particularly vulnerable to sexual violence. We find that by organizing women, this issue can be addressed. For example, these women tie rakhi [a bracelet made of thread that is usually tied in celebration of brotherhood and love] for each other and help and protect each other. We help them understand what government schemes are available and how to access them. In terms of employment, we have many training programmes for them, and we ask that single and widowed women with the right education be given priority in government jobs. 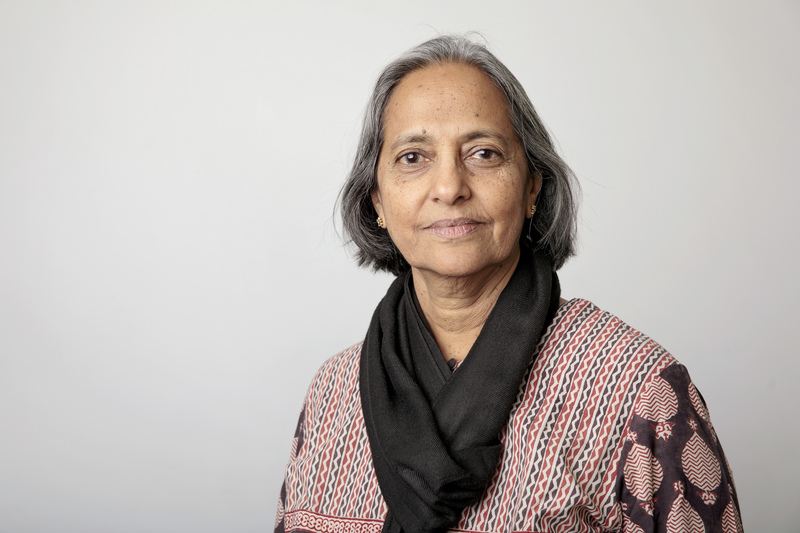 Rukmini Rao, from India, is the founder of the Gramya Resource Centre for Women that is part of Makaam, a forum for women farmers’ rights, working to promote fair prices and sustainable ecological practices, and supported by UN Women. Ms. Rao’s work relates to Sustainable Development Goal 13, which aims to promote mechanisms for raising capacity for effective climate change-related planning and management, as well as SDG 1, which aims to ensure that all women and men have equal rights to economic resources, including ownership and control over land.